← There is room for you at our table . . . In Texas and other parts of the world where drought has become a frequent visitor, the importance of having enough water has come into full focus. 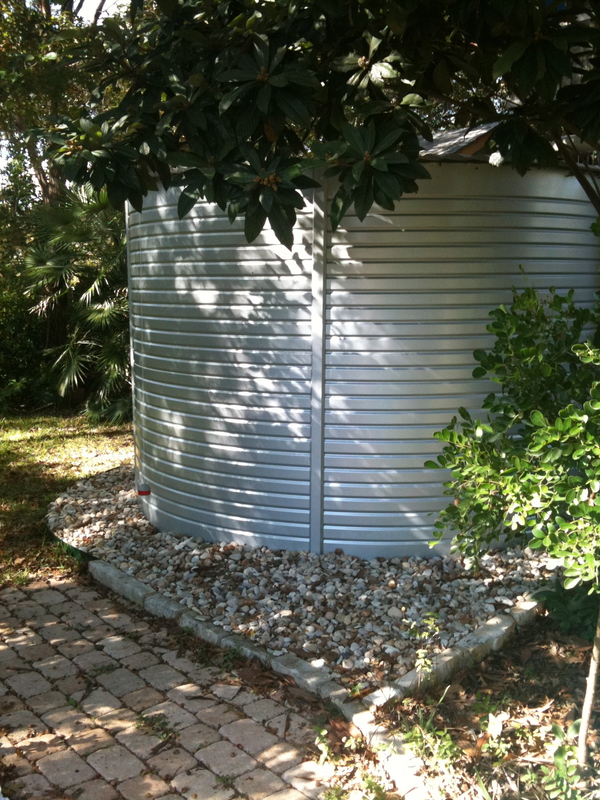 Patricia Michael, teaching fellow of the International Permaculture Academy and landscape designer, says rainwater harvesting is an important part of disaster-proofing your home. is not easily accessible for quick response from emergency vehicles. She notes that a fire hydrant used for any length of time lowers water pressure in the neighborhood. “Everyone needs a way to get water on their roof to put out sparks,” she says. This entry was posted in preparedness and tagged disaster-proofing, Patricia Michael, permaculture, rainwater harvesting, water collection. Bookmark the permalink. Might as well start thinking about reuse. We have to transition from using several gallons of water to transport a single bodily elimination of waste sometimes miles away. It’s easier to reclaim and reuse water if you don’t “contaminate” it in the first place. It’s already being practiced in a couple of places in the US where treated wastewater is returned to the reservoir where a drinking water plant intakes. But the cost is huge. Need to further develop reclaiming systems for the home.